​Come on, you didn't think the man was going to miss the big game, did you? ​When Tua Tagovailoa went down with an ankle injury in the SEC Championship Game, some Alabama fans feared his season would be done. 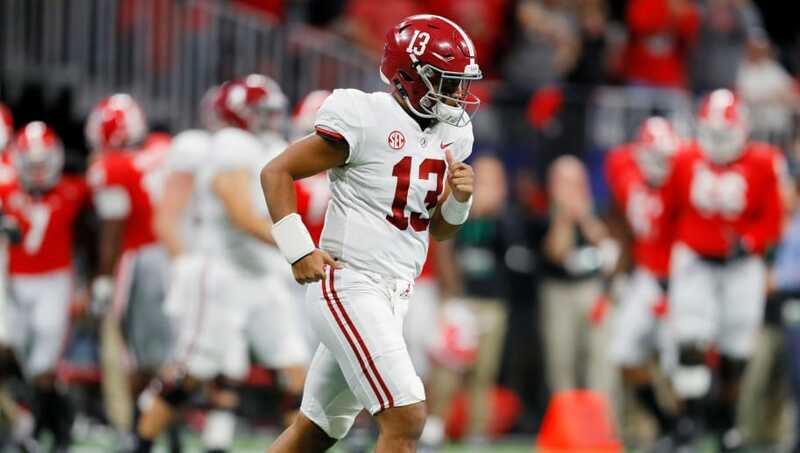 Well, Tua has wiped away any doubts, as he has come out ​and said he'll be ready for the CFP semifinal showdown with Oklahoma in the Orange Bowl. The news will make countless fans out there thrilled. Tua has had an incredible sophomore campaign. Despite his struggles in the SEC title game, he wants the ball in his hands and is ready for his shot to lead the Crimson Tide to another National Championship. With Tua set to go, that means Jalen Hurts, who led Bama to the huge win over Georgia, will return to his No. 2 spot on the depth chart. However, should Tua struggle or re-injure himself, Hurts will be ready to fire into the action. This showdown between Bama and Oklahoma is going to be a thriller. Can't wait.